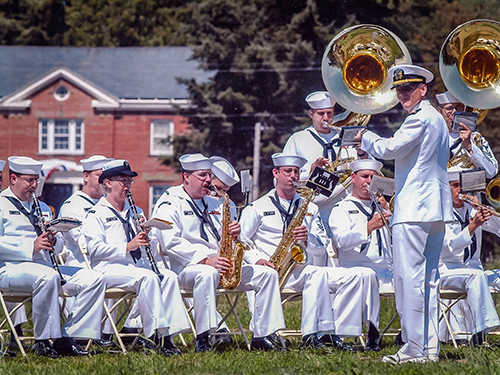 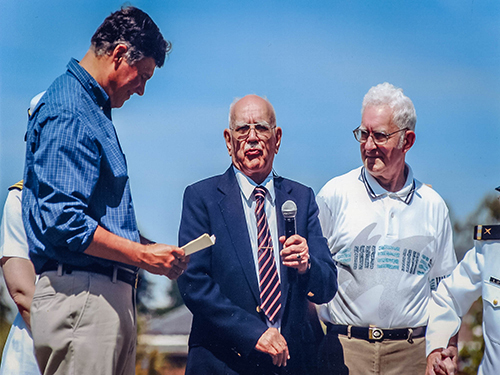 Fort Ward’s Parade Grounds park was dedicated on a sunny Saturday afternoon on Aug. 10, 2002. 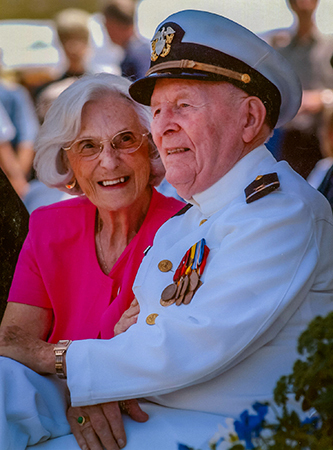 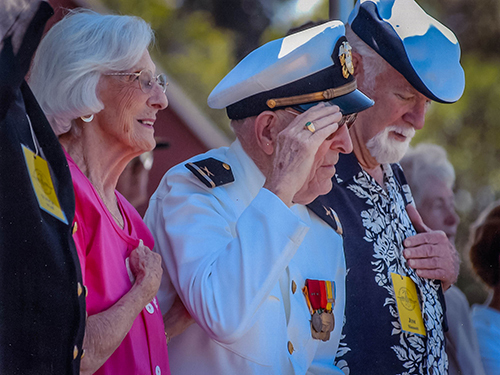 The ceremony saw the return of many US Navy veterans who had served at Fort Ward during World War II. 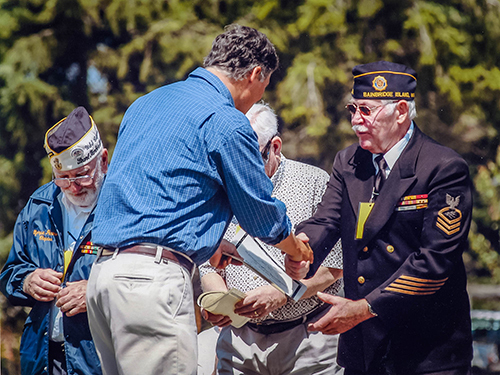 Then-Congressman (now Washington Governor) Jay Inslee presented each veteran with a certificate honoring them for their service. 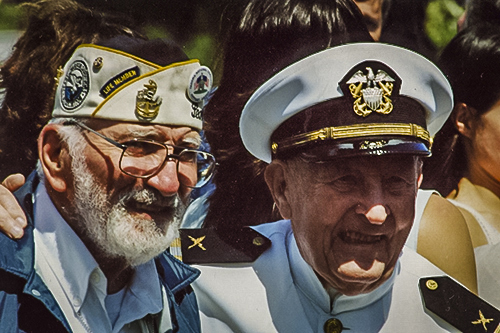 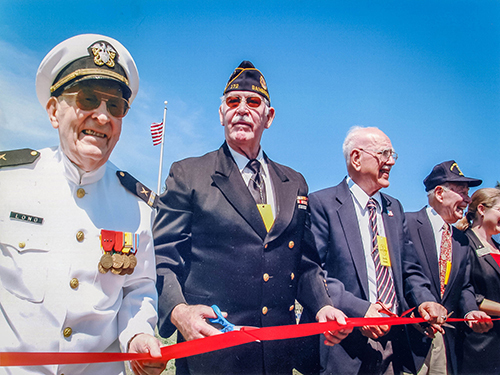 Veterans were then invited to cut the ceremonial ribbon dedicating the park as the Navy Band played. 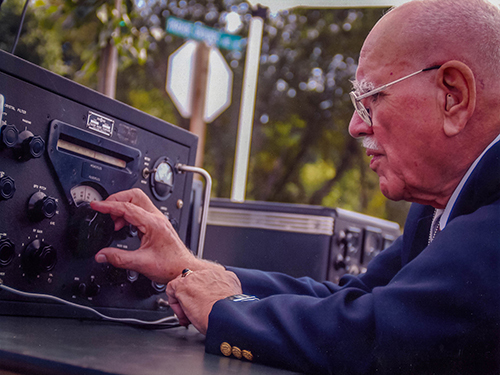 Historical displays around the grounds included vintage radios and Morse code demonstrations. 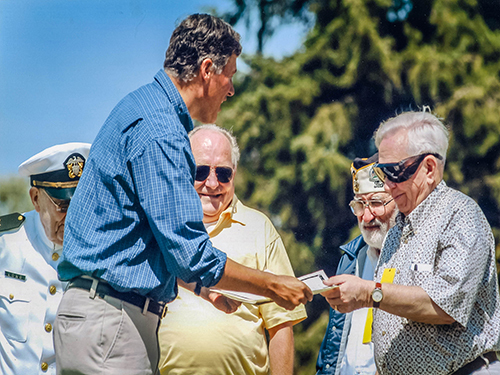 While individual veterans had returned to visit the fort at times over the years, it was the largest gathering of its kind at Fort Ward since the 1940s. 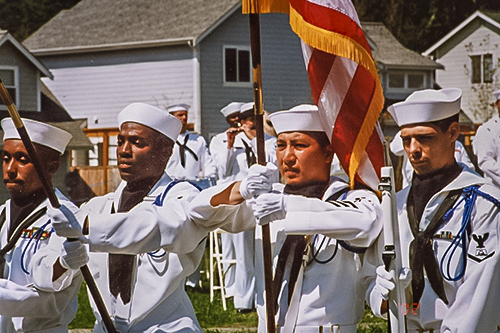 To commemorate the event, the U.S. 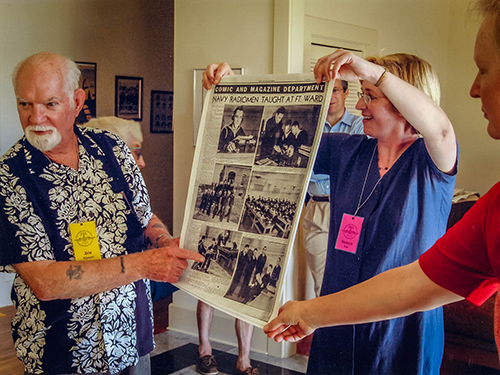 Postal Service issued a one-day postmark for postcards distributed to visitors throughout the day. 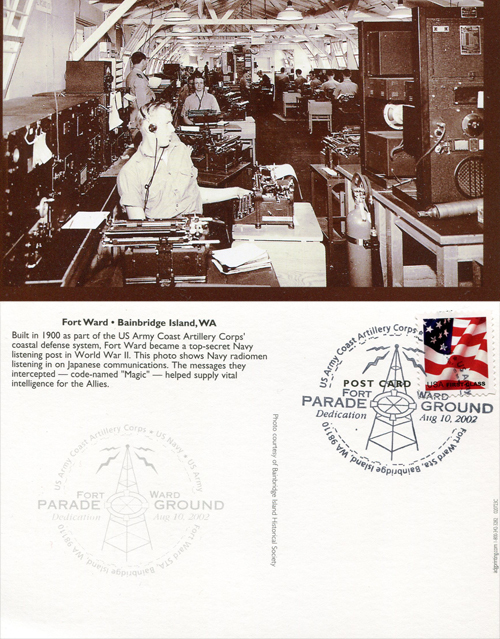 The postmark (pictured below) recalled the fort’s active years when Fort Ward had its own post office in the Post Exchange building.